with a fun art lesson I used to do with my elementary school students! 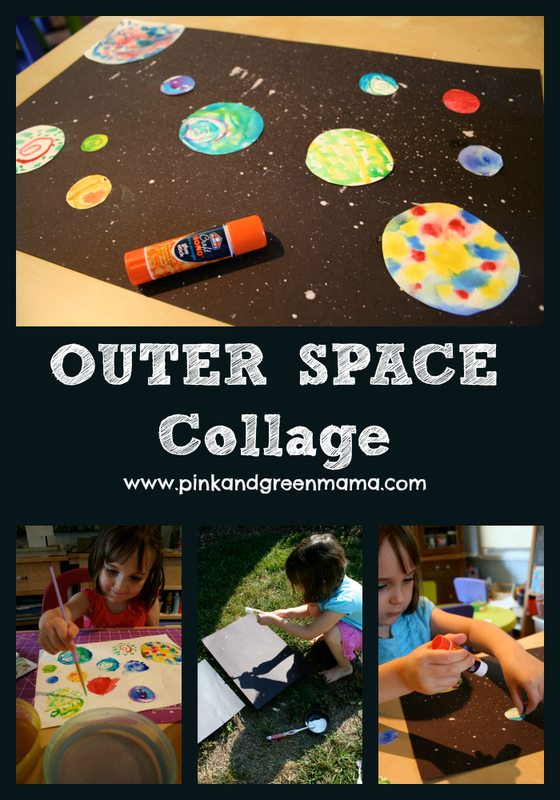 We made our own Outer Space Mixed Media picture. First, I set up "C" with some watercolor paper. play-dough lids, coins, and various cups in the art studio. Then, she got to work painting cool planets. if you wanted to get all scientific. for some cool planet effects! we headed out into the yard to make our "stars" in outer space. an old toothbrush, and some black construction paper. and flick/splatter the paint onto the black paper. or you'll get paint freckles on your face! The various white flecks and splatters of paint look like stars! and start gluing them onto her outer space background. 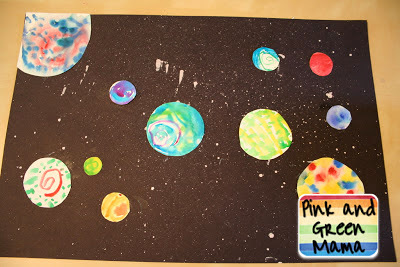 to glue down all of her planets. Close-up of splatter stars and colorful planets! Ta-da, an out of this world picture! 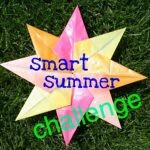 This post is part of the Smart Summer Challenge. to explore Outer Space Fun Week with your own kids. with other parents and teachers. You'll be entered for a chance to win a our biggest Prize Pack of the summer! * ReCycle Craft: Milk Carton Weaving! * ReCycle Craft: Paper Cup Weaving! * Melted Disney Princess Crayon Rainbow Canvas! * Make a Melted RAINBOW Crayon Canvas! * Elmer's Back To School Giveaway! * Elmer's Kids Craft Camp Giveaway Week!